During a recent conference, Rich Maas found portable partitions hard at work. Take a look at how Screenflex can make a messy area look neat and organized. In the first picture, one room divider creates a nice wall and hides the miscellaneous materials behind it. In the second picture, you can see how the divider works well by closing off the storage room to pedestrians passing and keeping them safe. In the last photo, a partition creates a room for miscellaneous items that may be needed for the show. Partitions allow workers to have easy access to their supplies. 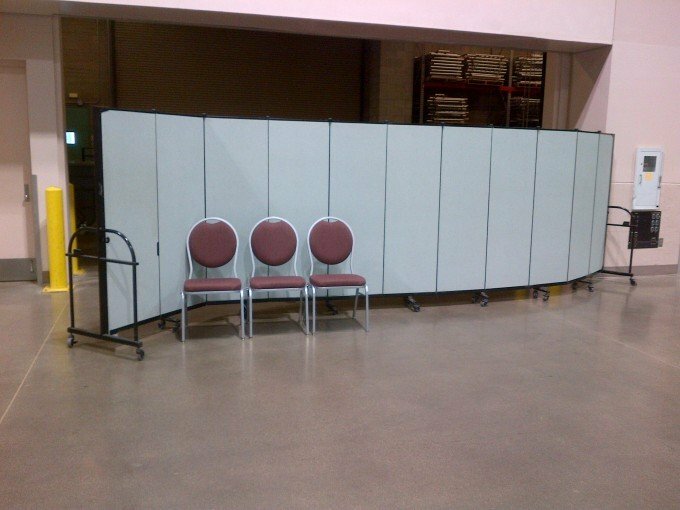 Portable room dividers are versatile and great for dividing space, creating backdrops, hiding construction debris and more. Use a room divider as a bulletin board or art display. Wheel just about anywhere and set up in seconds. Stores in a small footprint of about 2.5′ x 3′. For more examples of room dividers in action, view our photo gallery. 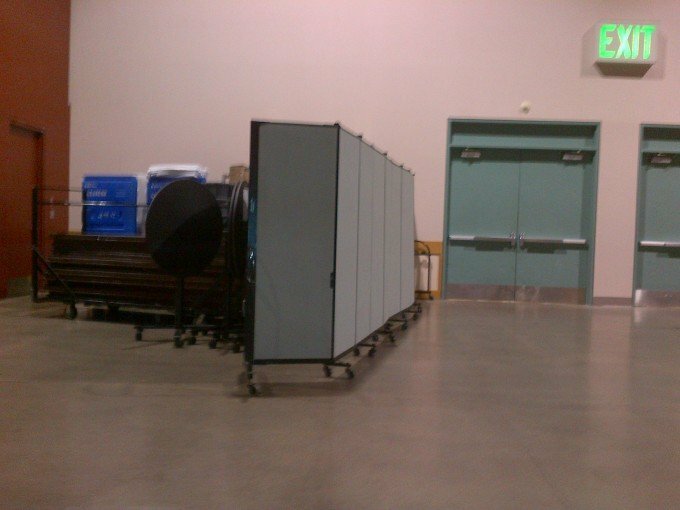 Behind the scenes, one portable partition keeps people from entering an open storage area. Dividers help keep the room neat and clean. Front view of the divider at work creates a visually appealing wall for pedestrians hiding unsightly stacks of tables and chairs. 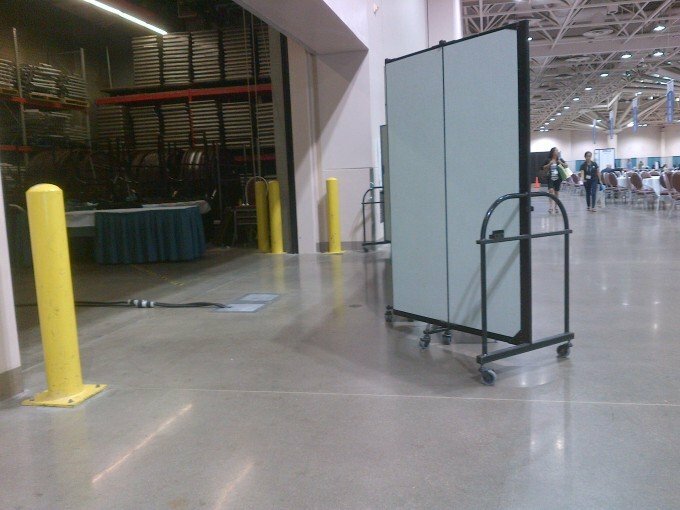 One divider creates a room for workers to have quick access to materials for the show.